The publisher revenues are expressed as a percentage of the campaign bid (advertising cost calculated per impression, click, install, lead or action). 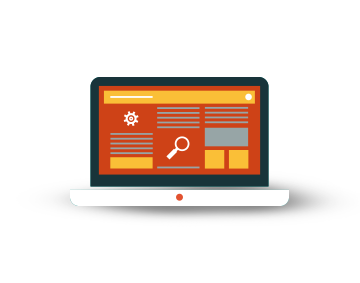 The revenue can be customized by the administrator, who is able to change the impression range and the percentage of revenue calculated on the advertisers’ PPC. Besides, the administrator can personalise publishers’ earnings for publisher, specific application and website. 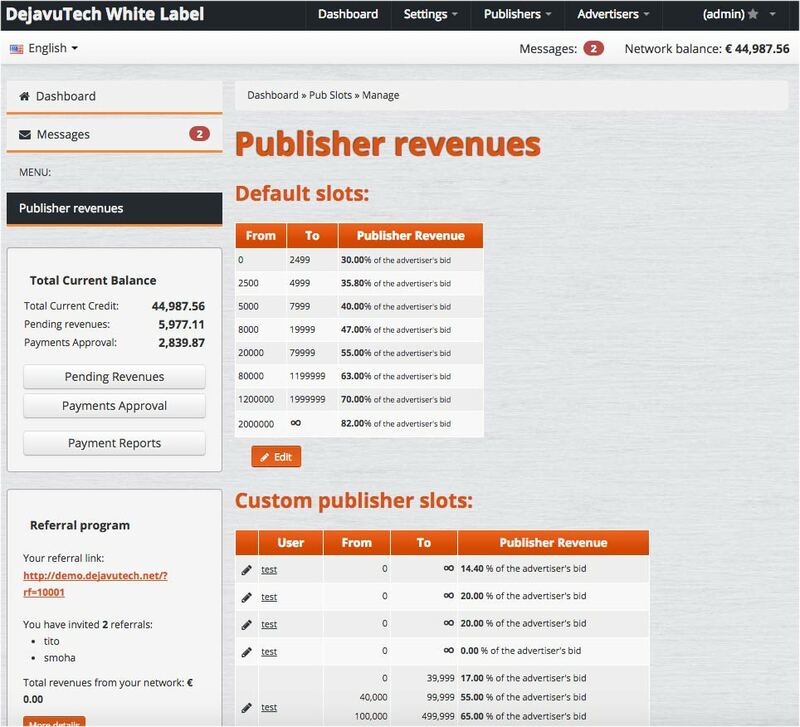 Thanks to this function, the administrator has the complete control over all the revenues inside his advertising network and he is able to manage the earnings and decide either to approve them or not. The admin can work with his publishers on a variable revenue base or with fixed contracts.